The fear of being dismissed. 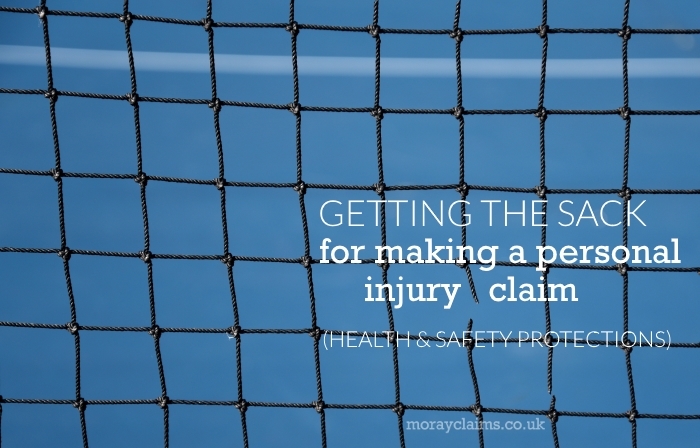 It’s a fear that prevents many people claiming compensation for personal injury sustained at work. We’ve considered this general issue in other articles. In this article, we focus on protections which might apply via employment law, and health and safety law. It’s a discussion of health and safety at work, workplace danger and sections 44 and 100 of the Employment Rights Act 1996. Employers have extensive health and safety duties towards employees. And also to workers, self-employed people and visitors to their workplaces. The principal legislation in relation to health and safety is the Health and Safety at Work Act 1974. This sets out basic health and safety duties. They apply to companies, directors, managers and employees. As the director or owner of a company, you have potential personal liability as well: you can’t hide behind your company. The nature and extent of the duties in practice will depend very much on the type of business concerned. The considerations of risk for a large-scale manufacturer with a factory are going to be very much different from those of a small office-based business. The general level of risk in an office-based environment is much lower. Employers have a duty to ensure the health and safety of all employees so far as is reasonably practicable. Employers must assess, and keep under review, risk. You must make arrangements for the planning, organisation and control, management and review of preventative and protective measures for safety in the workplace. You must audit the adequacy of the procedures you have in place. You must keep that under review. You must appoint one or more competent persons to have responsibility for health and safety. You must provide employees with information about how you are undertaking your duties and as regards the outcome of risk assessments. If you have over 5 employees, you must also produce a written health and safety policy. You must describe within that policy the arrangements for putting the policy into practice. You must bring the policy to the attention of employees in some way. And you must revise the policy whenever necessary. The potential liability of employers extends to both civil matters and criminal matters. As far as civil law is concerned, this is the situation where, for example, an employee might have a claim for personal injury compensation against their employer if the employer has breached its duty of reasonable care to the employee. 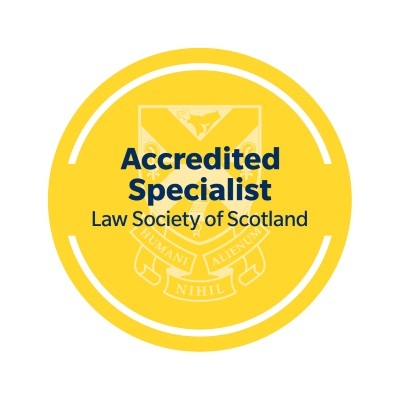 The criminal law will become involved were there is a particularly serious breach of health and safety law, for example where a health and safety breach has resulted in a serious injury to an employee or a fatal accident. Health and safety at work at a practical level. risks due to the layout of the workplace and, say, the movement of people and vehicles within it. Employees also have rights if they attempt to bring to the attention of the employer any particular health and safety issues. Section 44 of the Employment Rights Act 1996 states that an employee has the right not to be subjected to any detriment by any act, or any deliberate failure to act, by his employer done on the ground that: (a) having been designated by the employer to carry out activities in connection with preventing or reducing risks to health and safety at work the employee carried out any such activities; (b) being a representative of workers in matters of health and safety or a member of the safety committee, the employee performed any functions as such as a representative or member of a safety committee. So, an employee has the right not to have any detriment or disadvantage imposed on them by their employer on the grounds that they are the designated health and safety representative or have been appointed as a member of a health and safety committee. Section 44 goes on to provide protection to those where there is no health and safety representative or safety committee and an employee brings to the employer’s attention – by reasonable means – circumstances connected with work which the employee reasonably believes were harmful or potentially harmful to health or safety. This covers situations where an employee takes emergency steps to protect themselves and others from danger, or where they refuse to come in to work until a health and safety concern is addressed by their employer. This law exists so that employees can feel entitled to raise health and safety concerns without fearing that they will be discriminated against in some way because of the report they make. So, for example, if an employee brings to the attention of their employer an unsafe working practice and that employee is then subsequently disciplined for following that practice, they have the right to bring a claim under section 44. In practice, it has proved to be difficult for employees to bring claims under section 44. This is because in many of the cases where section 44 has been relied upon, the employment tribunal has decided that the true issue between employer and employee was not in fact a health and safety issue but something else. Often, employees have been held to be using the “health and safety” label as a sort of smokescreen for what was their true dispute with their employer. Section 100 of the Employment Rights Act 1996 is also relevant. This provides protection to employees from dismissal as a result of raising a health and safety issue. (Section 44, above, prevents detrimental treatment by an employer that does not go as far as dismissal). An important feature of a claim for unfair dismissal under Section 100 is that it is not subject to the usual two-year qualifying period of employment before such a claim can be made. There is also no cap on the level of compensation that can be awarded. (The usual maximum compensation is one year’s net pay). The fact that they have brought to their employer’s attention, by reasonable means, circumstances connected with their work which they believed were harmful or potentially harmful to health and safety. Practical examples might be where an employee reports that the guard on an electrical saw is broken or missing, or where the emergency stop button on a piece of equipment has ceased to function, and the employer dismisses them as a result. Another example might be in a care home, if an employee reports that a mechanical hoist for lifting patients is no longer working or considers, say, that the home is dangerously understaffed from the point of view of securing the health and safety of the workers and the residents of the home. As you can see, section 44 and section 100 have a lot of similarities. As an employer, it is important to be aware that employees have additional protection from detrimental treatment and dismissal if they are either a health and safety representative or they have been designated as someone to deal with health and safety in the workplace or they raise with you a health and safety concern or they take steps to preserve their own (and others’) health and safety or avoid danger (which can include not turning up to work due to health and safety concerns). In the wider scheme of things, there are much greater dangers for employers in not getting health and safety at work right. There is potential criminal liability. Fortunately, due to the long-term influence of the Health and Safety Executive (HSE), the influence of health and safety regulations introduced via European law and the provisions of the 1974 Act, there has been a general reduction in the number of serious injuries and fatalities in the workplace. If you have a new business which is just starting up, there are so many considerations to take into account, including policies and procedures, and contracts of employment. However, health and safety has to be the number one priority, given that the consequences of getting it wrong are so drastic for you, your employees and potentially other people as well. The website of HSE is a very good source of guidance material. Employers must remember that it is not only their employees’ physical health for which they have responsibilities. There is increasing awareness of the problem of mental health in the workplace and particularly the effect of “stress at work“. What about the question whether a dismissal for making a personal injury claim for compensation could amount to dismissal for a “health and safety reason”? We are not aware of any reported cases where an employee has indicated an intention to pursue a personal injury claim, been dismissed and then claimed that the dismissal was automatically unfair in terms of Section 100 of the Employment Rights Act 1996. However, it does seem possible that such an argument could succeed, depending on the circumstances. As we have seen, Section 100 protects employees who use reasonable means to bring their employers’ attention to circumstances connected with their work which they reasonably believe are harmful or potentially harmful to health and safety. It is only open to an employee where there is either no health and safety representative or safety committee, or it was not reasonably practicable to raise the matter by that route. If an employee suffers injury at work and brings the issue that caused the injury to their employer’s attention, there must be scope to argue that they are covered by Section 100 if they are subsequently dismissed because they did so. 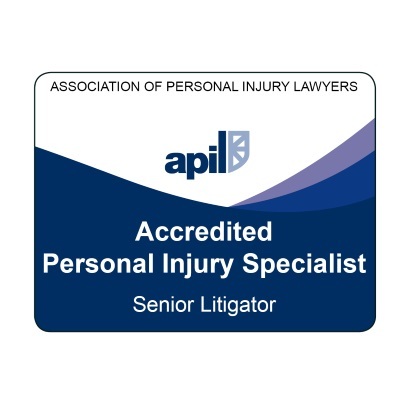 Fear of getting the sack for making a personal injury claim is an ever-present niggle for anyone injured in an accident at work who is considering their options. We hope this article has explained the general background and content of employers’ health and safety duties. From that, we hope you can see that protections are built into the law with the intention of discouraging employers from “punishing” those who might make a claim by dismissing them – or just treating them unfavourably. If you have any questions now you’ve read this article, please get in touch with us. We’re happy to answer questions. All initial enquiries are free of charge and without obligation. Call us on 01343 544077 or send us a Free Online Enquiry. This page on our website contains all articles we have written which relate to the subject of accidents at work. 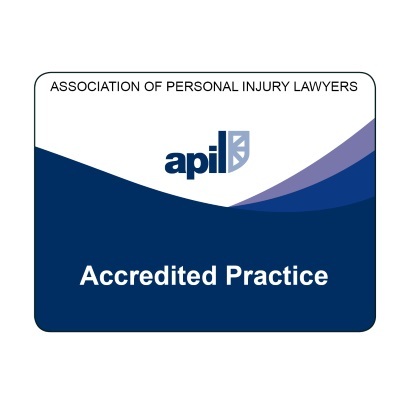 This page explains about the personal injury claims services we can provide in relation to compensation claims arising out of accidents at work.